Many business peoples are using BlackBerry smart phone, but many of them don't know exactly the main and crucial functions of BlackBerry. Today i will tell you some unseen functions and things which you never know about BlackBerry smart phones. 1. The U.S. government uses more than 500,000 BlackBerries. 2. RIM co-CEO and co-founder Mike Lazaridis, taking a page from Bill Gates' book, dropped out of college before starting the company. 3. Lazaridis was born with the first name Mihalis in Instanbul, Turkey. 4. Lazaridis accepted an Oscar for technical achievement from actress Anne Heche for RIM's Digisync Film Barcode Reader. 5. The White House installed its first e-mail services under President George H.W. Bush; Florida Governor Jeb Bush in 2006 unveiled his official portrait, featuring a BlackBerry in the background. 6. RIM's first job was a $600K deal with General Motors for networked terminals designed to show displays to assembly line workers. 7. The first true BlackBerry, the 950, was code-named LeapFrog. 8. Lazaridis said during the early 2000s that there were 16 million lines of code in the BlackBerry. 9. In November 2005, Oprah Winfrey gave away BlackBerry 7105t devices to attendees of her pre-Christmas giveaway show. 10. 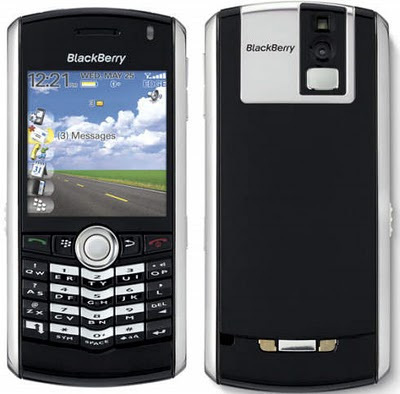 The BlackBerry Storm had been known during development as "Thunder."